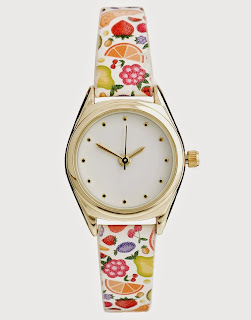 I've had this watch in my saved items for weeks so I was ecstatic to see it reduced. It's just so cute and I can't resist a fruity motif this summer (look forward to that in nail art posts to come!). This playsuit from Monki is the cutest, I love the collar and pattern of it and who can resist half price neon green polish from Models Own? Another beauty steal, this shimmery peach shade is perfect for those hazy summer nights. This is on the main page of sale and it JUST sold out of my size so I'll be watching this one closely, hoping someone returns one or one pops up because THAT PATTERN! 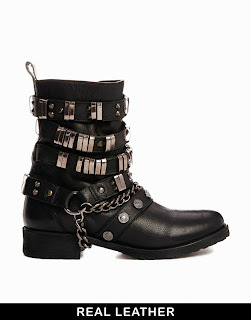 The complete opposite of the last dress, I see these boots as an investment for AW14, a biker boot never goes out of style and with this heavy embellishment, you can go really simple for the rest of your outfit. 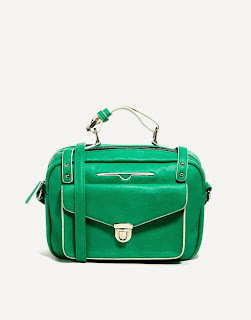 Last but not least, this GORGEOUS green bag which would fit it beautifully on Flails and Nails. I can't resist a bag and at this reduction in price, who can?